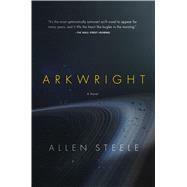 ALLEN STEELE worked as a freelance journalist before becoming a prolific science fiction writer. He has garnered multiple Hugo Awards for his novellas and novelettes, and his novel Orbital Decay won the Locus Award for Best First Novel in 1990. In 2013, he received the Robert A. Heinlein Award in recognition of his fiction promoting space exploration.